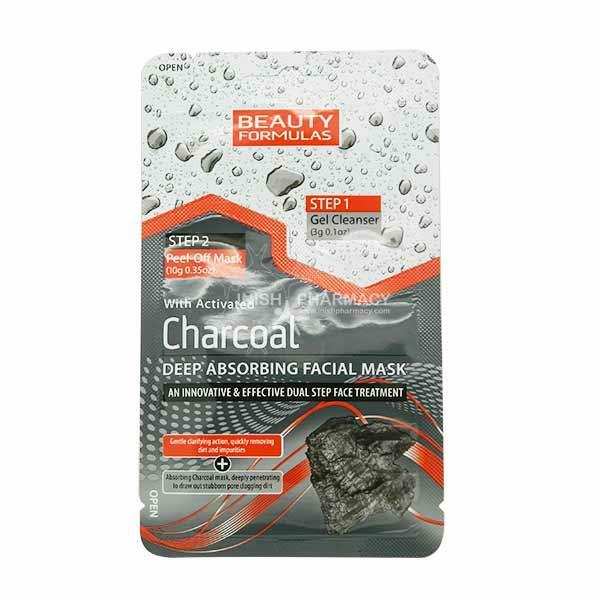 Beauty Formulas Charcoal Deep Absorbing Facial Mask is a two-step process mask that gently removes any dirt, makeup or impurities from the face. It also draws out stubborn pore clogging dirt. The first stage contains a gel cleanser that includes honey, cucumber and lemon. This cleanser will quickly remove any dirt from your face. The second stage includes a peel-off mask. This mask gently draws out any dirt deep within your pores. After 15 minutes the mask peels off easily.